"I can confirm to you that the phone call did happen and it centered on the issue of Kashmir as brought up by the prime minister," Guterres's Spokesperson Stephane Guterres told reporters here on Friday. 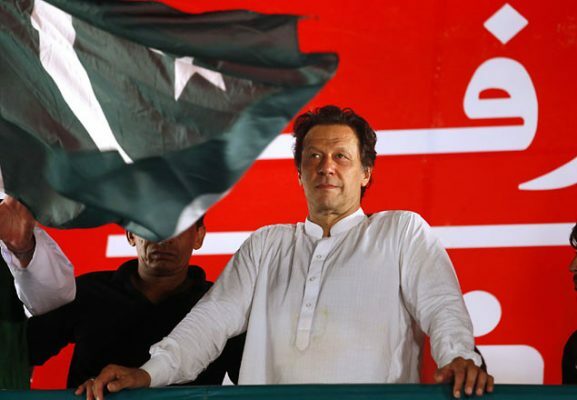 United Nations: Pakistan’s Prime Minister Imran Khan’s phone call to Secretary-General Antonio Guterres centered on Kashmir, according to a UN spokesperson, who said that it was “only normal” for Guterres to speak to heads of government,. “I can confirm to you that the phone call did happen and it centered on the issue of Kashmir as brought up by the prime minister,” Guterres’s Spokesperson Stephane Guterres told reporters here on Friday. He did not provide any details of their conversation that took place on Thursday. Radio Pakistan reported that Khan asked Guterres to send a commission of inquiry to investigate the human rights situation in Kashmir as recommended by former UN Human Rights Commissioner Zeid Ra’ad Al Hussein earlier this year. Although Guterres has backed Zeid’s call for the investigation and the current Commissioner Michelle Bachelet has endorsed it, neither the Human Rights Council nor other UN bodies have acted on it. India has said that Zeid’s report on human rights violations in Kashmir and the proposal for an investigation were “clearly biased”. UNMOGIP continues to operate under the security council mandate that grew out of a 1948 resolution that set up its predecessor organisation following the fighting that started in 1947 when Pakistani troops disguised a tribesmen invaded Kashmir soon after Independence. India maintains that the UNMOGIP has no role because of the 1971 Simla agreement between Prime Minister Indira Gandhi and then-President Zulfikar Ali Bhutto stipulating that Kashmir was a bilateral issue with no role for third parties.